Las Vegas Venetian Hotel is a is a luxury hotel plus casino resort located in Paradise, Nevada, on the Las Vegas Strip, specifically on the old Sands Hotel site. 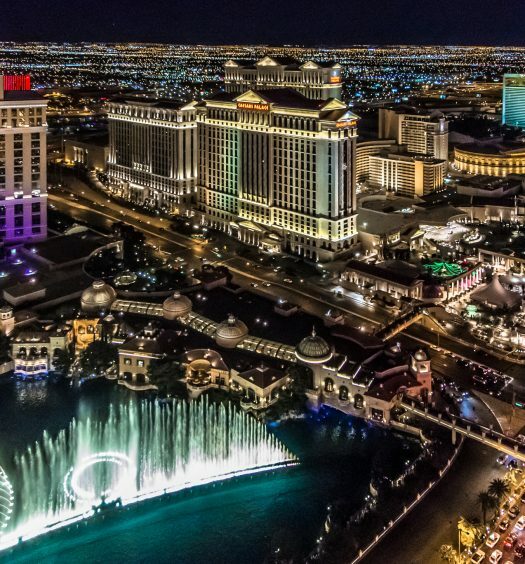 It is surrounded by neighboring nightlife and casinos, making it feel like epicenter. Designed by KlingStubbins, this hotel tower has 36 stories, and it rises 145 meters. 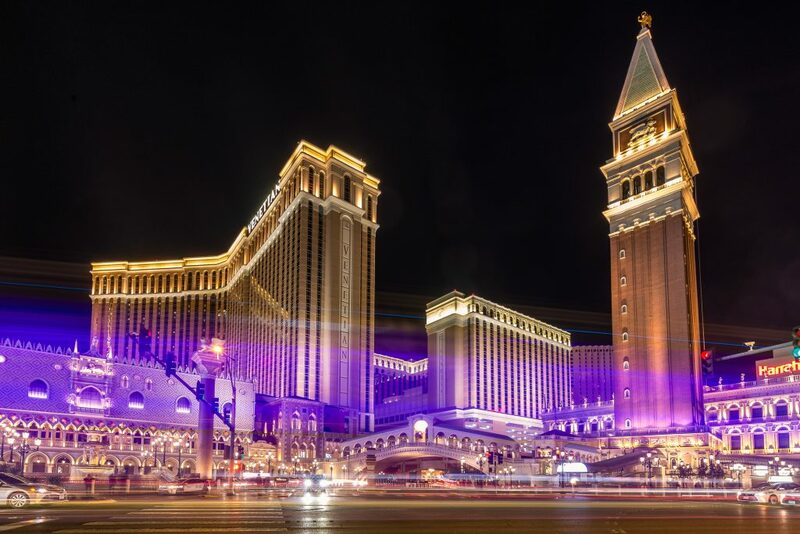 Las Vegas Sands owns and operates the Venetian. 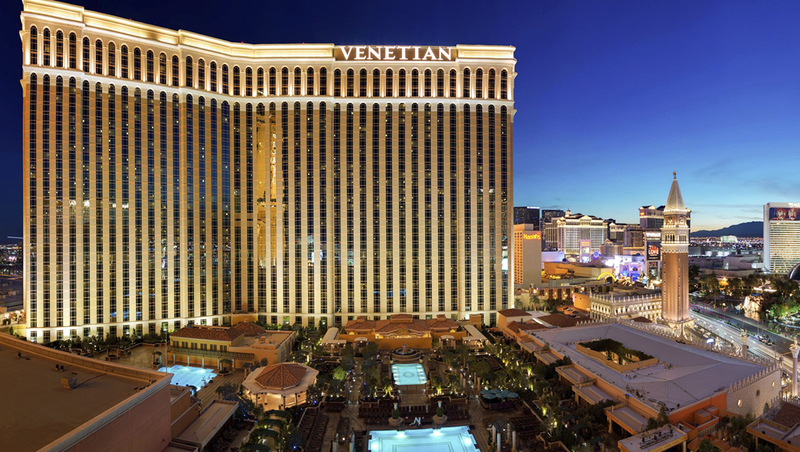 Also, the Venetian serves as the corporate headquarters seat for its parent company. The Grand Canal Shoppe connects the Venetian and The Palazzo, its sister property, and guests can walk to most places. They can also choose to take any of the handy buses outside. 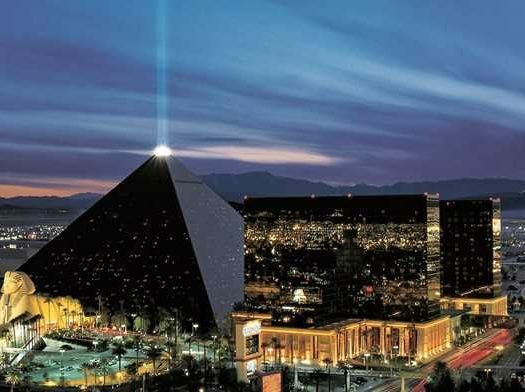 Sheldon Adelson revealed plans of creating on the property the largest ever resort on the Strip in April 1996. The project would be located on the previous Sands property. To make way for the Las Vegas Venetian Hotel, the Sand Hotel was imploded on Nov. 26, 1996, 8 years after it was acquired by the Interface Group owners (Jordan Shapiro, Irwin Chafetz, Ted Cutler, Richard Katzeff, and Adelson). On April 14, 1997, groundbreaking for the hotel started. On May 3, 1999, the resort opened with a flutter of white doves, singing gondoliers and sounding trumpets, with the Italian film actress and singer Sophia Loren joining Sheldon G. Adelson, who is The Venetian Owner and Chairman, in the dedication of the first motorized gondola. The cost of building it was $1.5 billion, making it among the most expensive resorts existing of its kind during that time. The luxurious 1,013-room Venezia Tower opened on June 27, 2003. An announcement was made in 2010 that it’ll be affiliated with a British multinational hospitality company called InterContinental Hotels Group (IHG). The Cantor Race and Sportsbook opened in October 2011; it was the only sportsbook in Las Vegas that was open 24/7. The Venetian opened Carnevale on June 11, 2012. Carnevale is a summer-long festival anchored by a nightly three-dimensional projection show viewed on the clock tower. The popular Blue Man Group stage theatre show closed in September 2012 and relocated to Park MGM (formerly Monte Carlo Resort and Casino), after being at the Las Vegas Venetian for 6 years. The sheer concentration of impressive iconic replicas is striking: The hotel has used Venice as its design inspiration; it features architectural replicas of several Venetian landmarks. They include the Campanile di San Marco tower, the Rialto Bridge, the Doge Palace façade, and that is before reaching the homage to the most famous work of Sistine Chapel seen in in the lobby. Also, light cascades around the large open spaces that are created by elaborate vaulted ceilings plus off the polished marble walls and floors, all framed by gorgeous opera-singing gondoliers, classical guitarists: it is really a mesmerizing scene. Given the glorious aesthetics, when guests are waiting in the lobby for check-in, they will feel like it is a museum tour. The staff offers the highest standards of hospitality. The Grand Canal itself is the most notable facility on-site, and visitors can glide on the authentic gondolas against a background of Venetian street scenes plus under bridges, which is serenaded by the operatics of the pilot. 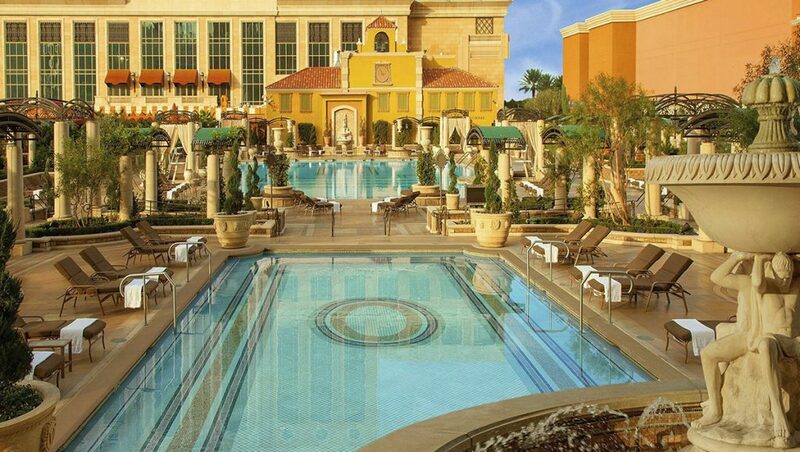 Guests will find the Venetian Pool Deck to be a dream come true, with palms and sun-kissed columns framing the most classic of whirlpool tubs and swimming pools. The dining and retail choices housed in the 500,000 sq. 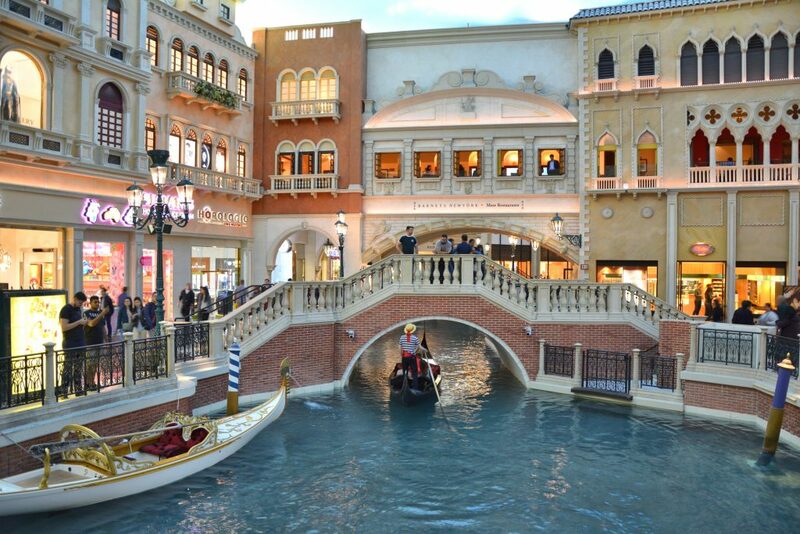 ft Grand Canal Shoppes (an upscale shopping mall) stretch from the populist to the high-end. Also, the complex houses the elegant Canyon Ranch Spa Club. The design architects for the project were WAT&G and The Stubbins Associates. Dougall Associates and Wilson Associates provided the interior design for the casino. The casino at the Venetian has an extensive selection of the best and hottest slots and table games in Las Vegas that guests will love. This includes the following games. The casino has seven craps tables, and the betting range is between $10 and $5,000. There are 7 roulette tables at the Venetian casino with $10 to $500 spreads. There’s one roulette wheel with only one zero. Here, the betting range is $25 to $500. The Sands Poker Room located at the Venetian spreads one of Las Vegas’ widest selections of poker games. Texas Hold’em (No Limit) games with 2/5 and 1/2 blinds are available 24/7. Also, Omaha High/Low and Fixed Limit 4/8 Texas Hold’em are spread all day and night, and Omaha High/Low at 15/30 and 8/16 are common. Venetian is always happy to spread any Open Face Chinese or mixed game when there’s interest. Cantor Gaming (CG Technology) owns and operates the sportsbook at Las Vegas Venetian. It’s one of the finest books in Las Vegas. It’s extremely comfortable and offers stadium seating. Bettors may withdraw and deposit for mobile accounts at that location. 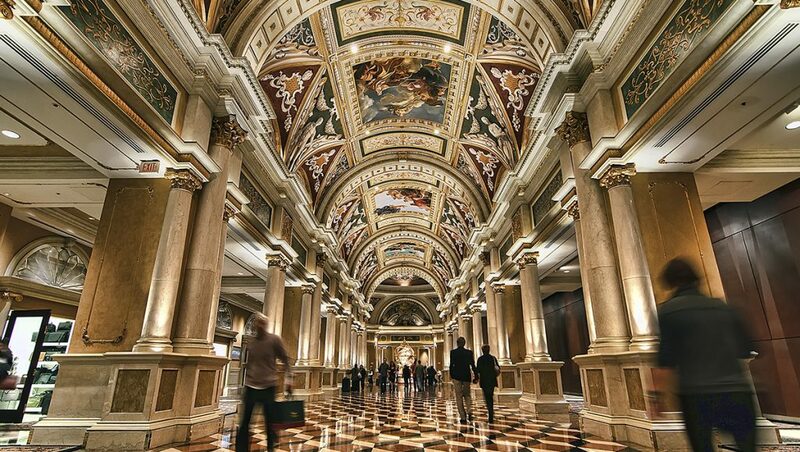 The Venetian has over 1,000 slot games, while The Palazzo has more than 900 slot games. 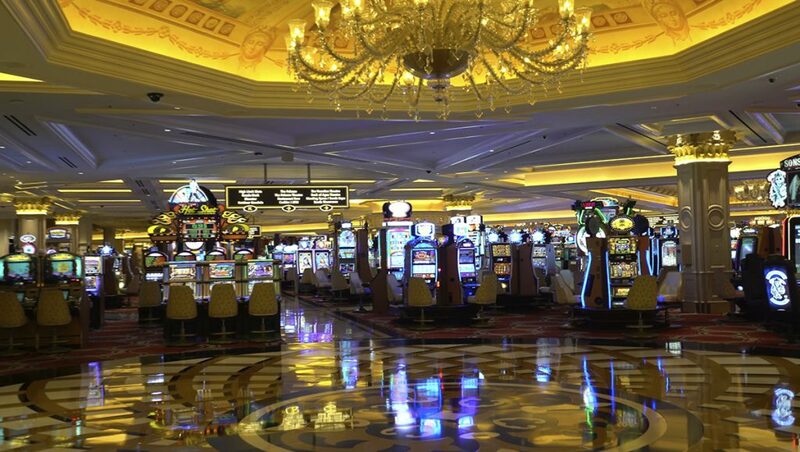 This means that guests will definitely find a new great game or their favorite game to give a spin and enjoy. Regular updates often bring the latest slots such as Lord of the Rings, Game of Thrones: Fire and Blood and Ghost Busters 4D. Shoe Blackjack games begin at $10 during the day. On the weekends and at night it usually goes up to $15. The Venetian has 36 shoe blackjack games, all having a maximum bet of $2,000. Free Bet Blackjack and Blackjack Switch offer the same betting maximums and minimum as other shoe games. During off-peak hours, there are 5 Double Deck Blackjack games starting with a $50 minimum. During busy nights, these tables will go up to $100. The maximum bet on Double Deck Blackjack is $5,000. Kids will definitely love the gondoliers plus the overall atmosphere. There is a wealth of shopping, family attractions, and dining, all within walking distance. The hotel has a total of 198 adapted rooms, which includes accessible rooms and roll-in showers, adapted bathrooms, visual alarms and widened doors. Besides the casino’s buffet, the Grand Lux Café at Las Vegas Venetian Hotel is one of the best options for breakfast. The Grand Lux Café has its continental breakfast buffet that costs from $20. Here, celebrity chefs are the ones ruling the dining roost, and the hotel is known to have high-profile outlets by Wolfgang Puck (CUT), Buddy Valastro’s first venture Buddy V’s Ristorante as well as Thomas Keller (Bouchon). Another highlight is the well-known Emeril Lagasse’s Delmonico Steakhouse, which serves up amazing Cajun specialties and dry-aged steaks in a dining room that is sophisticated. The cream of the many casual options is certainly Black Tap Craft Burgers; it serves burgers plus classic sides, and don’t forget their truly sensational ‘Crazy Shakes’ milkshakes. The property has approximately 4,000 suites. 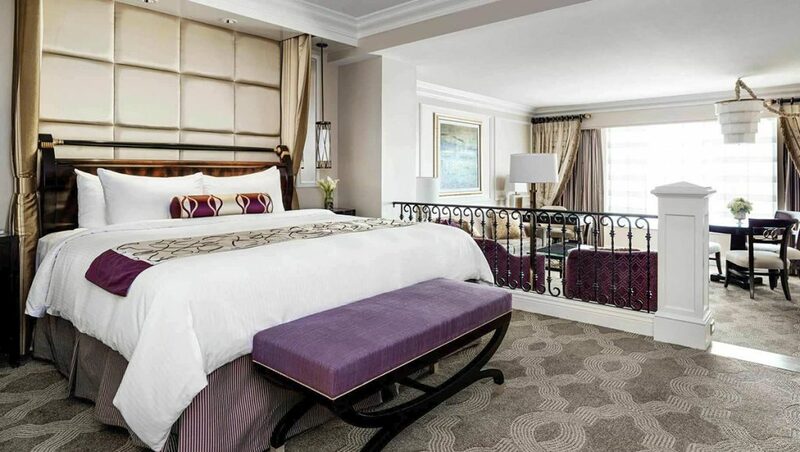 The sunken living room gives the suites a luxurious touch, and it’s classily decorated by the dark purples of the beautiful velvet sofas, gleaming marble countertops, and oversized padded headboards. Guests can hunker on their comfortable bed and then direct the remote-controlled curtains and shades to let in the lovely Vegas sunsets or the resort views. The bathrooms boast Roman tubs and twin sinks along with stand-alone shower units and Agraria toiletries.